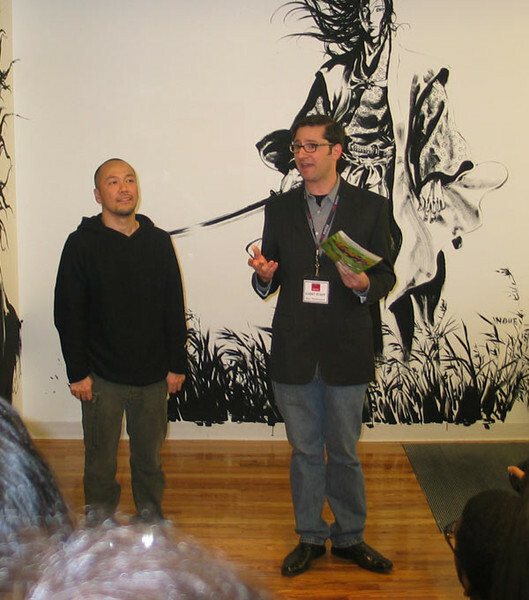 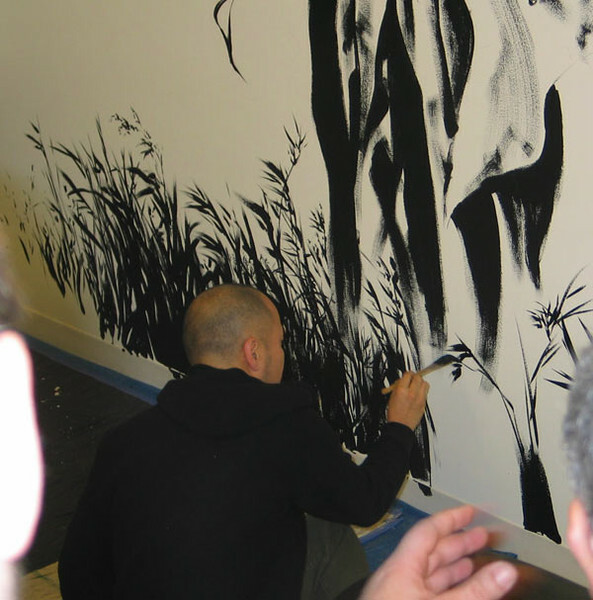 On November 16, 2007, famed manga artist Takehiko Inoue (of Slam Dunk and Vagabond fame) arrived at Books Kinokuniya's newly opened midtown location in New York City to begin work on a special mural. 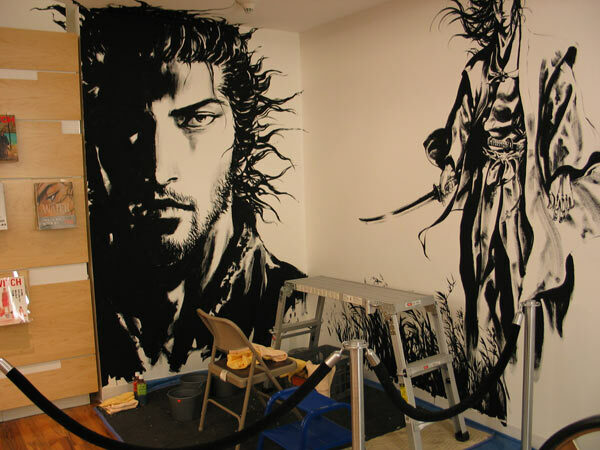 The mural, an expansive black inkwork on the wall and ceiling in Vagabond style, greets shoppers arriving on the second floor (dedicated to manga, DVDs, and art books) upon exiting from the escalator. 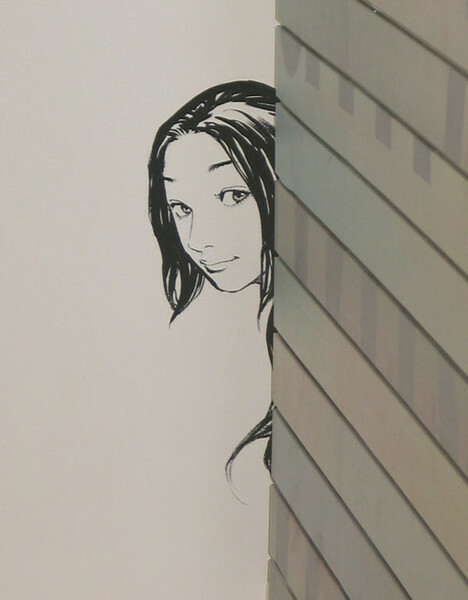 A small "omake" piece also looks down on shoppers descending the stairwell.